Implied predictive analytics in a business include sharper sales forecasting and better hit rates in marketing, ability to detect frauds and strong analytical insights to understand customer churn. 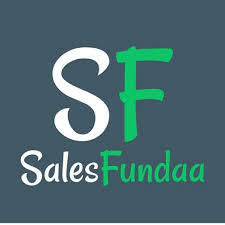 Salesfundaa ERP is a Predictive analysis driven software that has the power to become the single biggest contribution to Business boom for enterprise. Salesfundaa ERP is one of the most dependable enterprise solutions that is a flexible, scalable and cloud enabled to seamlessly integrate with applications for smooth implementation. It has a proven track record to meet exacting requirements of industries operating in different verticals. Salesfundaa ERP has all the information required for predictive analytics and can be an important link between a particular reason or a combination of reasons and a customer who leaves. This facilitates organisations to derive information in order to formulate policies that assist customer retention. This would not be possible without vital inputs, and Salesfundaa ERP is the source for comprehensive information that will be required. Manufacturers often have pressure to slash downtime. This requires machinery to be properly maintained to achieve this. Salesfundaa ERP system typically receives information from all areas of operation including assembly lines. Which means it is able to transmit information about life cycle and usage to the systems which will in turn trigger alerts to designated resources when a component approaches the end of its duty cycle. This will prevent stops in production by timely replacement and maintenance. Predictive analytics largely depends on the repository of voluminous data collated from multiple disparate sources. Inputs flow up into the system from every single touch point and operational aspect of a business thus making them reliable for mining statistics for better sales forecasting and modelling. Predictive analytics are a growing trend vital for organisational success. Predictive analysis works on the basis of inputs, and the more inputs fed, the better the analysis. And when it comes to getting all the information that is required, there is nothing better than an Salesfundaa ERP System. Thus making this system equally indispensable. Call Salesfundaa ERP on 9235 35 35 35 for free consultations of how to meet exacting requirements for your enterprise boost manufacturing for enhanced sales.